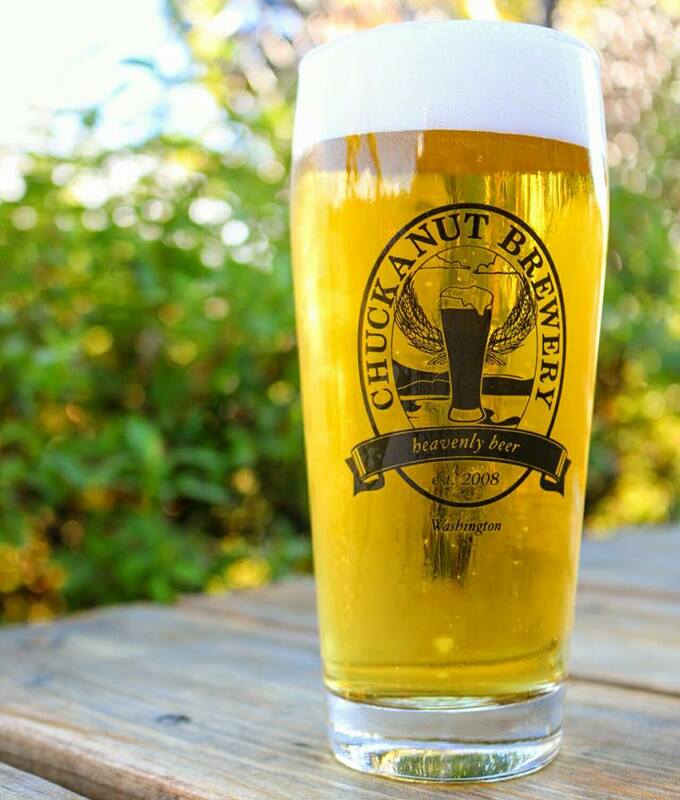 Chuckanut is delighted to announce we won a record breaking 8 medals at the Washington Beer Awards at the Father's Day WA Brewers Fest and cinched the title of Large Brewery of the Year (making over 2,500 bbls / yr). We won Gold for our Pilsner Lager, Filtered American Wheat and Alt Bier. 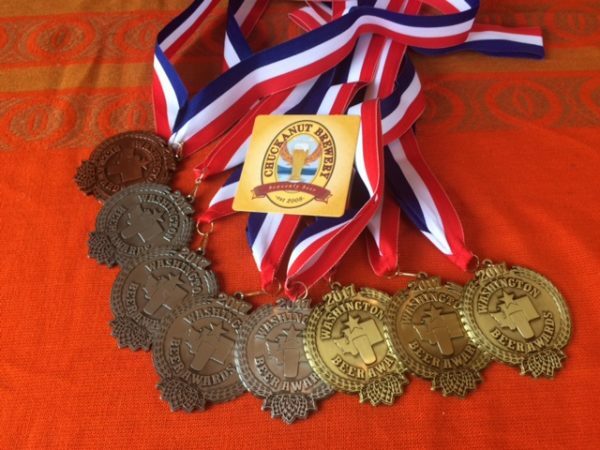 Our Vienna Lager, Doppelbock, British IPA and Kolsch all won Silver. Our Dunkel Lager took Bronze. There were 1,207 beers from 165 WA breweries entering 65 categories. The breweries ranged from super nano to regional. The new seasonal Skagit Malt Ale starting in July is our Filtered American Wheat. A bright golden ale with a lightly citrus finish that's perfect on a summer day with it's sessionable 5.2% ABV. It will be served around the sound into the fall. This beer won Silver at the WA Beer Awards in the Wheat Ale category! We're so excited that our local veggies are starting to produce! We've got Tuscan White Bean and Kale Soup featuring Terra Verde farms purple kale as our soup this month. And our pizza is a Supreme using local Jack Mountain Spicy Italian sausage and Cascadia mushrooms along with a bunch of other ingredients. If you haven't tried our home made Oyster Po Boy with local pan friend oysters on a house bun and remoulade you've got to order it. And don't forget if you're into seafood our Catch is the way to go, always delicious and different. This year we've been invited to the Bite of Seattle July 21-23 at the Seattle Center. Make sure to stop into the Beer Fest inside the Bite and try our award winning brews. Bellingham's Brewers by the Bay is back on July 23 and we'll be there! If you didn't get tickets to The Grain Gathering at the Port of Skagit this year, you're out of luck cuz it's sold out. If you were lucky enough to get a ticket we'll be there in support of local grains. This year we're sponsors of Bellingham's Downtown Sounds July 26 when Sweetkins & the Positive Agenda play. 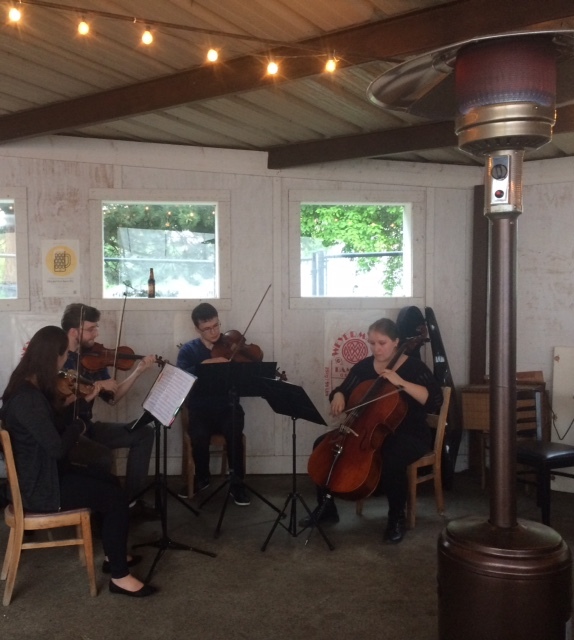 The Whatcom Symphony and Chuckanut are collaborating on a great monthly event in our back patio called Classical on Tap. 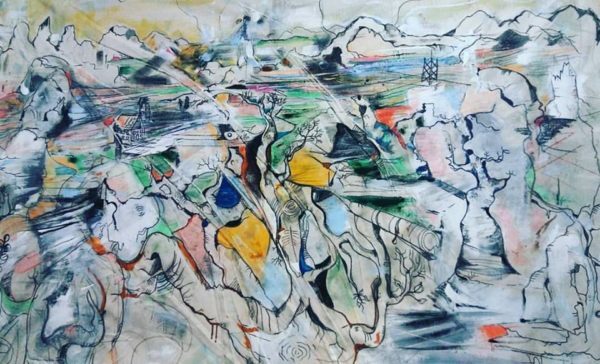 Selected members of the symphony play and discuss the music while guests enjoy Chuckanut Beer and food in our back patio the last Wednesday of each month at 7 pm. It's a great way to turn people onto classical music and a wonderful way to support our very talented Whatcom Symphony. This month it will be July 26.